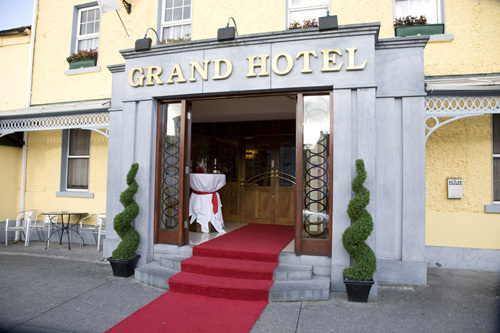 The Grand Hotel is situated in the small town of Moate in the heart of Ireland and has been in the Claffey family for over 30 years. 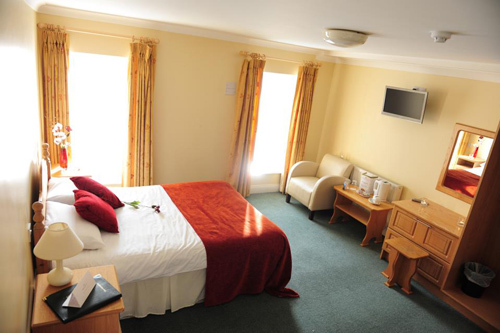 We are the perfect location for an overnight stop, a weekend break,business meeting or family get away. We are located on the Main Street, only minutes from Athlone and Tullamore and only a short distance to some of Irelands most historic sites such as Belvedere House, Clonmacnoise, Charleville Castle, Birr Castle, The Hill of Uiscneach, Lockes Distillery, Lough Boora Bog and many more and we are only 1 hour's journey, using the M6 motorway, from Dublin or Galway. We offer our guests the best in fine food and excellent service, with comfortable and relaxing surroundings. Our ballroom, the Chieftain Suite is the ideal venue for weddings, parties and functions. 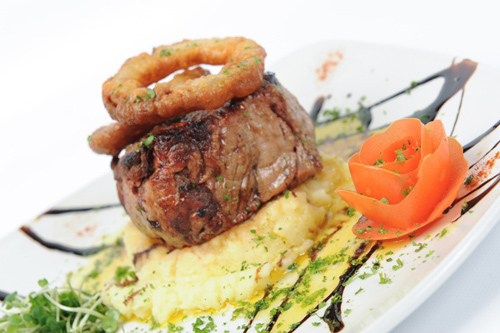 We now incorporate Claffey's Restaurant & Steakhouse, with the best steaks (and more) in the Midlands.